Did you resolve to read more in 2019? (Me too! My goal is to finish 50 books this year!) Already feeling behind? (I am!) In the mood for a little magic? Below are five of my favorite magic-related reads for a wondrous 2019. In Greek mythology, Circe is often just the witch from The Odyssey. 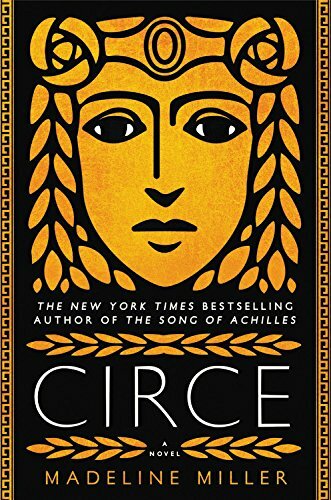 In her retelling, Madeline Miller gives Circe life. In her hands, Circe is a well-rounded, fascinating (and magical!) woman who’s trials will feel all too familiar to today’s woman, too. I read this book on our honeymoon and finished it within 24 hours. To say I highly recommend it doesn’t do it justice. Find Circe on Amazon, here. In one year, Shonda Rhimes created an amount of change in her life that, from the outside, could only seem magical. In reality, her magic stemmed from one change. Instead of saying no, no to events, no to opportunities, no to herself and her children, she said yes. She said yes, and completely changed her life. (I’m not hyperbolizing!) As a closet introvert, this book really sang to me. Whether you love a crowd or a good night on the couch, this book is for you. Shonda’s writing is captivating and her experience is both inspiring and relatable. It’s the perfect new-year-new-me read. 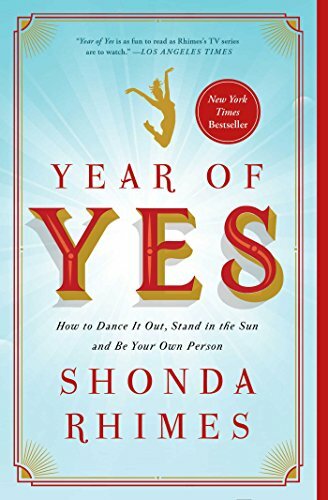 Find Year of Yes on Amazon, here. Last year, Christian and I attended a lecture with The House of the Spirits author, Isabel Allende. (I didn’t wear pants. I blogged about it here.) When asked if she’d write another magical realism novel, Isabel said no. She didn’t think the genre has a place with today’s audience. I was (and am still) heartbroken. So, to quiet my sadness, I’ll be rereading Isabel Allende’s magical realism masterpiece (and first novel! ), The House of the Spirits. The book follows four generations of a Chilean family. There’s magic, there’s romance, and there’s commentary on post-colonial Chile. What more could you need? Find The House of the Spirits on Amazon, here. I am not a prolific reader of fantasy. However, if there’s just a bit of reality tucked in, a bit that makes you say, “Could that be real?” then I am hooked. The Night Circus is set in a traveling circus (circuses are real! ), but the two lead characters, dueling magicians, deal in magic and not illusion. Erin Morgenstern’s writing is lovely and surprising and this book helped me survive three sleepless, jet-lagged, nights in London. If, like me, you love historical fiction but are looking for an escape, run away with The Night Circus. Find The Night Circus on Amazon, here. It’s no surprise that Elizabeth Gilbert’s, Big Magic, made this list. I’ve waxed poetic of my love of Liz and her book (and her podcast!) here and here. Whether we are looking to write a book, make art, find new ways to address challenges in our work, embark on a dream long deferred, or simply infuse our everyday lives with more mindfulness and passion, Big Magic cracks open a world of wonder and joy. Find Big Magic (and the rest of that summary) on Amazon, here. Magic month continues on Sunday! I’ll be back with a witchy post!